Camon,,,,,,, I know they're out there ,,,,,,, postem ! 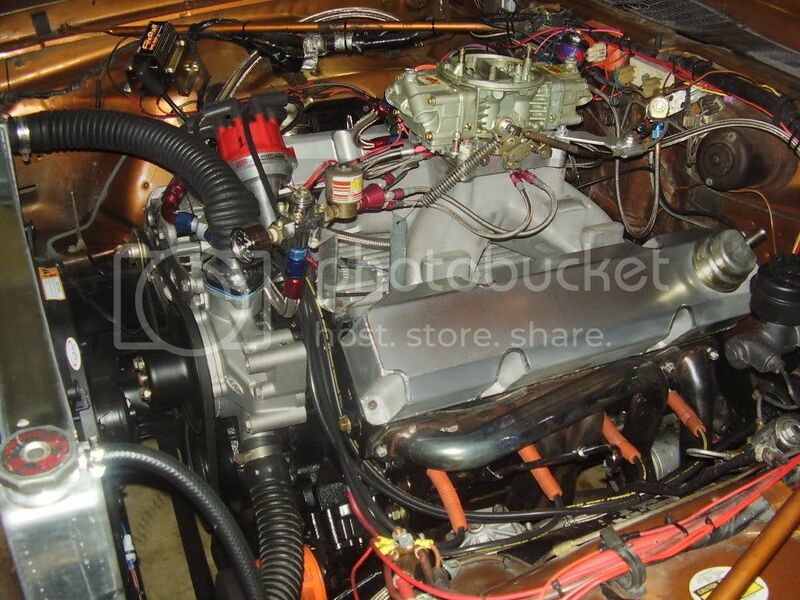 A few years ago there was a pic of an 80 Volare, red with a 392 Hemi in it (I know thats not a Big Block) on another website I saw but have no idea who's it was now. Here's one I found for you. I talked to the guy and the red one , well, email contacted. Who owns runs the back 1 ? 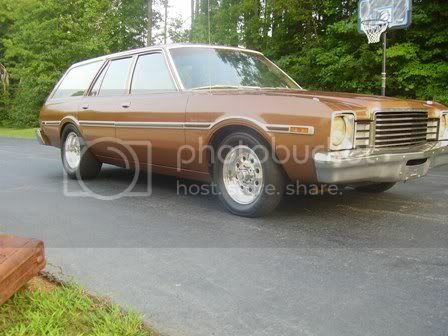 here's a 440 6pack dippy wagon. i like this one alot. I don't know. It's a pic somebody sent me since they know I collect/take pics of race Mopars. I've seen the 440-6 Dippy wagon appear on eBay every now and then. Very nice car. Unfortunately F-bodys are getting rare in my areas of travel, and Big Block ones rarer still. I saw my first BB Aspen last summer in Morrisville, VT. Sorry, no pics to share... I guess I gotta invest in a digital camera soon. I will have more weekends free to take pictures at shows now that I retired from the Army Guard. So, is the best way to go a Schumacher mount kit to put in a BB/RB motor?